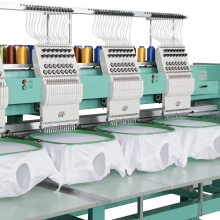 Our specialty and one of the reasons why we are able to give our clients cost effective, prompt service is that we have our own in-house embroidery machines. 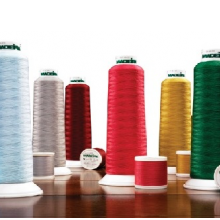 Embroidery is when your logo or brand is machine stitched directly onto the garment or promotional item. A digitise set up is required. We tend to recommend embroidery for apparel, as it looks professional and will last longer if the garments are going to be washed and ironed frequently. Embroidery prices are based on the number of stitches per logo/design and units run at one time rather than how many colours are involved. We will need to see your logo/brand design before we can confirm the final pricing for embroidery. We always provide our clients with a detailed quote prior and present the logo for sign-off prior to commencing work and so remain in total control. Digitising is the cost to transform your logo or insignia into an embroidery image. This process is part science, part art and when done well creates a logo that is truly beautiful and eye catching. You don’t want to scrimp in creating your logo properly as you want your brand to stand out. Minimum order quantities are listed by product on the website. Unbranded items can be ordered in lesser quantities but a surcharge will apply. For Branded products the following are our minimum order quantities. Each time we program and load the embroidery machines we charge a problem set-up fee. This fee is waived for jobs over 49 units. 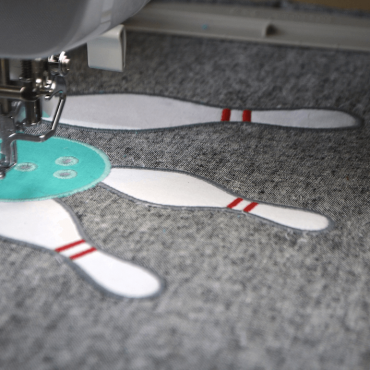 Where we embroider items that require additional handling such as packing or unpacking, special treatment on the embroidery machines a handling fee may be quoted. What are your lead times for branded items? Lead times vary depending on the product chosen and the type of branding required. Typically, most locally stocked items can be sourced and branded within 7-14 working days. Unbranded items can be delivered the next day or within two working days. Some branding processes require 2-3 weeks for delivery. Indent lead times (sourcing from overseas) are normally 10-12 weeks via sea freight. We can also air freight items, for an extra cost, which will shorten the indent lead times. If you have an urgent order, please contact us and we will make every effort to meet your deadline requirements. …then we’ll quickly send you back a quote. To send us your digital logo and details please click here to go to the artwork upload page.